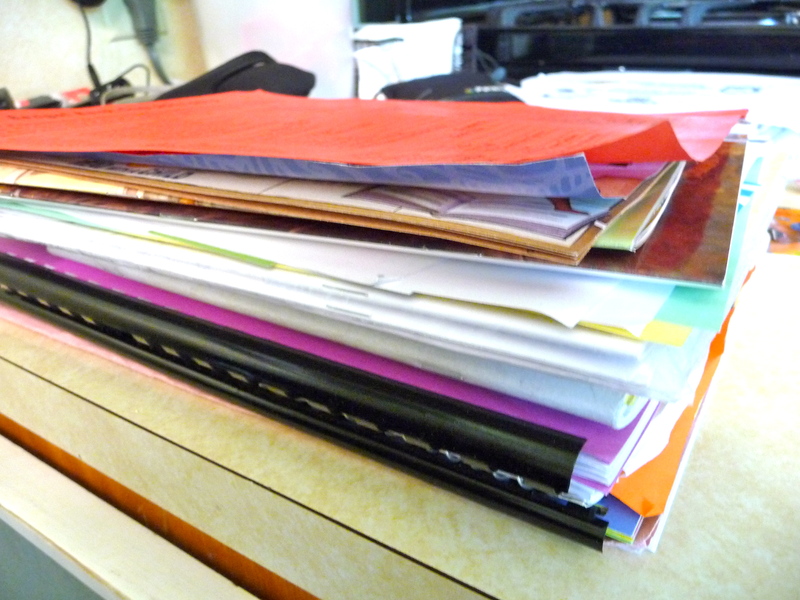 Now that school is out, I have one question for you: Did your children bring home ridiculous amounts of school papers? It seems like every year, at the end of the school year, that’s when the kids start bringing home tons of stuff. It’s normal, right? Well, the last couple of days were even worse. It was so bad this year that I even took a picture. See what I mean? That’s one of my kids’ pile of papers. Just one. And it’s just from one day. I have 4 in school. So multiply that pile by four. This can totally be overwhelming. Because it’s not like everything else around you stops so you can deal with the papers. Nope. Life just keeps on rollin’. So the papers usually end up sitting in a pile for weeks or months, cluttering up the countertop, table, desk, chair, bedroom floor, etc. Anyone else here with me? Guess how to deal with it? Don’t roll your eyes at me. I’m serious about the timer thing. Don’t trust me? Don’t believe me that it works? Set your timer for just 10 – 15 minutes. Even 5 minutes is better than nothing. Tackle that pile. Get your kids involved. Sit down with them and really look at their stuff. They’ll feel important and you’ll be showing that you care. And after looking at it, ask them what they want to do with it. If they don’t have any ideas, suggest some. Click HERE, HERE and HERE to see what I do. You’re gonna love it! This entry was posted in Organizing and tagged school papers, timer. Bookmark the permalink.